Charles A. Krekelberg is a native of Perham, MN, and currently resides in Pelican Rapids, MN with his wife, Patricia. Chuck and Pat have three adult children: Charles H. Krekelberg, an architect living in Asheville NC; Joy P. Bauman, a biomedical engineer living in Appleton, WI; and William P. Krekelberg, a chemical engineer living in Baltimore, MD. Criminal Law (both prosecution and defense). Chuck has been associated with Krekelberg, Skonseng & Miller, P.L.L.P. and its predecessors since 1978. 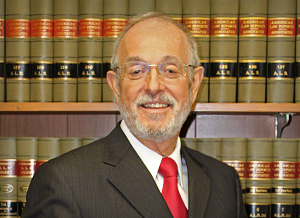 Prior to 1978, he worked as a legal assistant/law clerk in the commercial litigation department for Fredrikson & Byron, Minneapolis, MN. Chuck has taught numerous seminars and done numerous presentations to groups and classes regarding Family Law, Estate Planning and Probate throughout west central Minnesota. When he isn’t practicing law, Chuck enjoys spending time with his family, and is an avid walker that can frequently be seen walking around Pelican Rapids. He is also a Pelican Rapids athletics enthusiast. Federal Court, District of North Dakota (1994). William Mitchell College of Law (J.D. 1978). Past Member Special Supreme Court Committees on Legal Services. Pelican Rapids Mock Trial Team. LexisNexis/Martindale-Hubbell Peer Review AV Rated. “A Better Idea: Reporting Pro Bono Services”, Bench & Bar of Minnesota, March 1999, co-authored with Thomas C. Mielenhausen.